This serum is best for intense hydration. The milk proteins in it improve the skins elasticity. Recommended for dry, dull skin. Apply ½ cc skin over the face, neck, and cleavage in a light ascending massage until completely absorbed. For even more intense effects, combined with Sérum Elastine Pure. This intensely moisturizing bio-serum contains milk proteins to restore radiance to the complexion. Apply Sérum Colostrum Pur on clean skin over the whole face, neck, and cleavage in a light ascending massage until the product has been completely absorbed. A few drops of Sérum Colostrum Pur may be added to the creams for greater instant comfort. 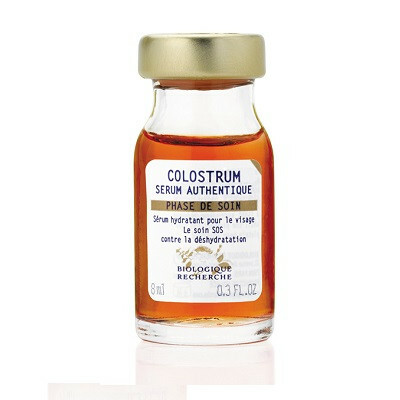 Sérum Colostrum Pur can be combined with all the other biological Quintessential Serums. For even more intense moisturizing and plastifying effects, use Sérum Colostrum Pur with Sérum Elastine Pure.